The feud between Senate Finance Chairman Tommy Williams, R-The Woodlands, and Senate Education Chairman Dan Patrick, R-Houston, grew more heated Friday. 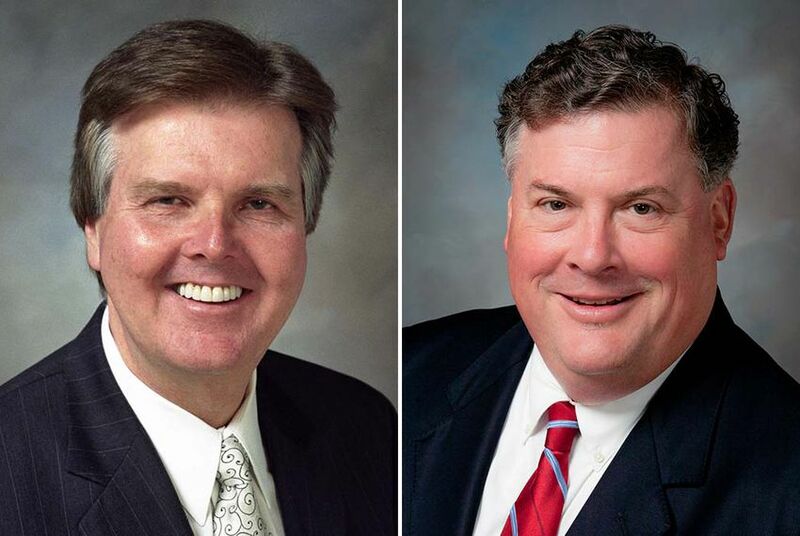 State Senators Dan Patrick, R-Houston, and Tommy Williams, R-The Woodlands. An increasingly bitter feud between the Texas Senate's chief budget writer and its education committee chairman escalated Friday as the two Republicans accused each other of misleading the public. Senate Finance Chairman Tommy Williams, R-The Woodlands, has made no secret of his unhappiness last month when Senate Education Chairman Dan Patrick, R-Houston, voted against the state budget. At a recent event hosted by The Texas Tribune, Patrick said his vote was due to the lack of funding in the budget for some public education programs. Williams pointed to Patrick’s work as chairman of the education panel and as a member of the finance committee, where he worked closely on the portion of the budget devoted to education. “A more thorough review of the past session’s work on public education funding clearly shows the state’s new budget for public education was heavily molded by Sen. Patrick,” Williams said. “To suggest otherwise is mystifying to me and others." Williams concluded his column by accusing Patrick of voting against the budget because he believes it will help with a future campaign for lieutenant governor. “I can only conclude he was looking for an excuse to distance himself from our good work to advance his own political interests,” he wrote. Patrick said Williams’ column is in line with the Senate finance chairman's recent “attacks” on groups that have criticized the budget, including the Wall Street Journal editorial board. Following the regular session, Williams also tried to strip Patrick of his chairmanship of the education committee. "I have nothing to add except many of us are deeply disappointed in Sen. Patrick's antics,” Williams said.